Hello Stampers! 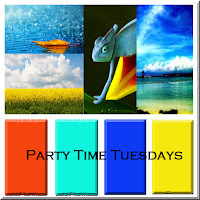 It is time for another challenge over at Party Time Tuesdays. This week's challenge is a "Color Challenge. This is such a fun color combination. I added some distressing to my card. I also added some embossing and freehand the banners. 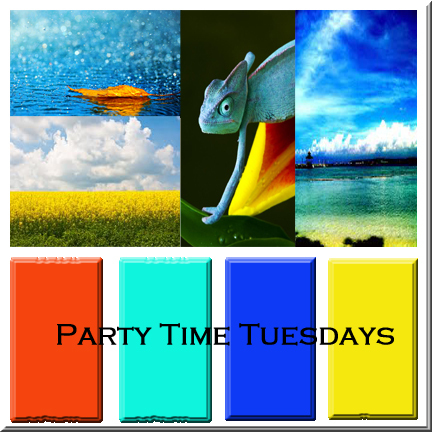 Please head on over to the PTT blog for more DT inspirations and enter this week's challenge to win some fabulous prizes from our sponsors. Great card!! Love the colors!! Thanks for participating in our LOVE TO CREATE challenge!! Hope to see you again next week! Fabulous card and your design is great! Super Cool Card! Thank you so much for having played with us at Love to Create Challenge!! Can't wait to see what you'll create Next Time! !